Long time best mates Tomy Thisdale and Natte Murdoch conclude their professional careers in order to pursue their purpose and give rise to The Carbons: Canada's latest three piece groove rock band. The Carbons debut LP August Ash is a resolute medley of a sophisticated and raw composite of groove rock, blues, and funk influences. Huge groovy drum pockets, fat bass lines, and incendiary guitar riffs captivate the listener from the first note. Elevated by meaningful lyrics and memorable melodies, audiences share The Carbons’ message of living with purpose and pursuing passion with relentless devotion. The pursuit of their dream began when frontman Tomy Thisdale met drummer Natte Murdoch in Calgary, AB while studying engineering in 2008. The two ma (...) Mehr anzeigende best friends and as young adults longed for the day they could create a sound that spoke to the world. With the completion of their post-secondary education, they both followed engineering careers to Northern Alberta. As they developed successful careers in the energy sector and matured through their travels around the world, the message they longed to deliver approached fruition. In December 2017, the brothers wrote and recorded their debut LP, August Ash and released it May 2018 under the name The Carbons. Their name is a product of their history, and together, with it they unite the world. “Much like music, Carbon connects every living organism on earth. Every living thing vibrates at a certain frequency that speaks to someone or something else” says Tomy Thisdale. Within 5 weeks of the worldwide release, The Carbons shared August Ash with over 2000 people at the SMS Equipment Stadium with notable Canadian touring acts The Wild! and Aviator Shades. Fans discovered the catchy hooks from ‘Who You Foolin’’ and ‘All I Need’ to the deep vibrations of ‘Annabelle’ and ‘Closure’. The euphoric message was alive. 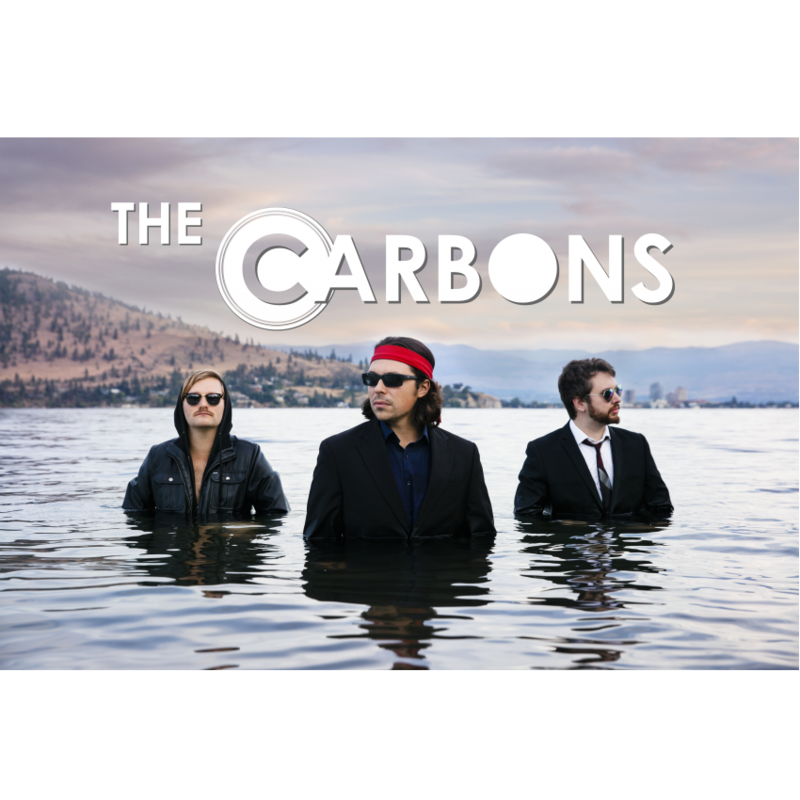 Canadian radios 106.9FM The Wolf, 99.3 The Goat, 104.9FM The Wolf and 97.9 FM Rock featured The Carbons with interviews and radio play. Later that year, the ‘10,000 km Cross Canada Tour’ was realized and encompassed the country. “Our favourite element from tour was experiencing first hand what an impact our music was having. People were coming to our shows from all walks of life after hearing our sound on outlets like Spotify, Youtube and Apple Music” said Natte Murdoch. When the band hit Toronto, ON, masses assembled at the legendary Horseshoe Tavern to experience the buzz. Their trip through Toronto heightened when they sat down with Juno-nominated (The Glorious Sons) producer John-Angus MacDonald from The Trews to discuss production on 3 new singles. A partnership solidified and scheduling for the singles were booked.